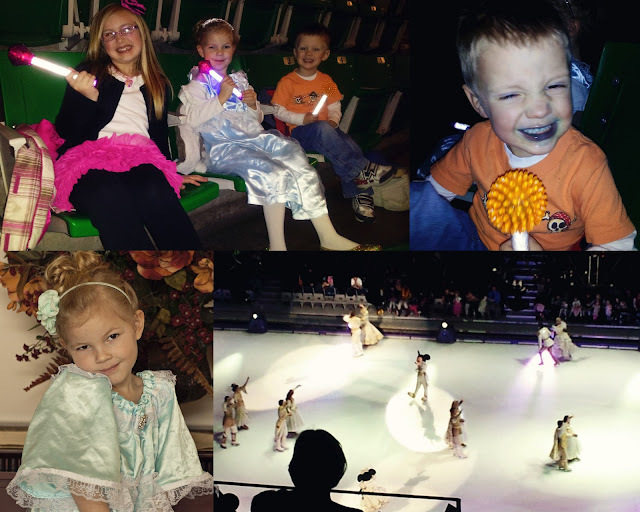 On Wednesday I took the kids and a cousin to see this year's production Disney on Ice. It was great fun for the kids who all got to attend an event at the Energy Solutions Arena for the first time. 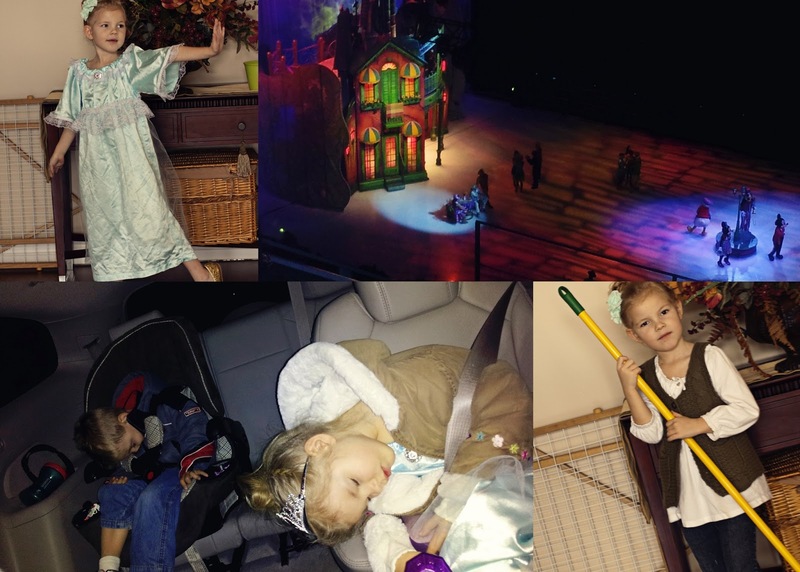 They were all prepared for the show with their light up wands and glow in the dark necklaces. Emilia chose to dress up as Cinderella and in the morning we had an impromptu photo shoot so she could act out her 'poses'. Gotta love the girl! The kids' favorite part of the performance was the re-enactment of the movie Tangle. In the ice-show Rapunzel and Flynn Rider do some impressive high aerial tricks while holding on to her long hair. There were plenty of flips and jumps and greatly choreographed dance performances - all of what you would expect from a Disney production. By the time we got home the kids were tired. It was a quiet ride back with them all asleep in their seats.